Helping you build a scalable, reliable, secure and responsive IT infrastructure. 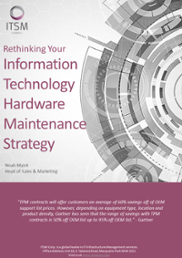 ITSM take a proactive role in managing your IT infrastructure and your end-user systems. We tailor-fit our solutions and make it specific to your industry or business. Our Managed Infrastructure Services deliver technical expertise, processes and technologies to optimise your infrastructure. We follow the best practices in the industry by utilising ISO/ITIL standards. Our approach to any project is highly structured with accountability, visibility, and established service delivery frameworks.